Here's a bunch of cool Marvel TV news. 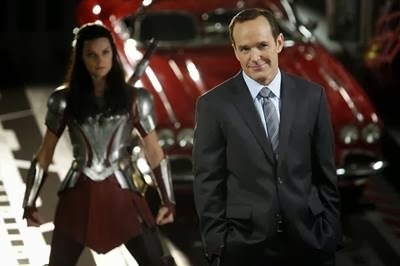 ABC has announced that they've renewed Marvel's Agents of SHIELD for a second season. Plus, they've picked up the period spy piece, Marvel's Agent Carter. What this means is that the upcoming season finale of Agents of SHIELD won't be the series finale. This pickup is great news and as long as this latest momentum in the writing continues, then ABC has itself a great hit for the next season. But seriously, ABC, you need to invest just a tiny bit more money in the effects department on some of your scenes. It's kind of scary when you're suddenly addressed with a scene that rivals the magnitude of the Syfy channel. But otherwise, since developments in Captain America The Winter Soldier has taken hold in the show's story, things have kicked it up a notch. If you gave up on the series in the first half of their season, I don't blame you for bailing. It was horrendous how thin the writing was. But then something changed and I didn't need multiple beers to get through the episode. And now I get excited to see what's going to happen week to week. I seriously hope they keep this up and that they use events in various Marvel Cinematic Universe to continue to spice up the plots. Excelsior! As Stan Lee would say. Other bits of news is that ABC has picked up to series Marvel's Agent Carter. Agent Carter is Peggy Carter, the girlfriend of Steve Rogers AKA, Captain America, way back in the golden years when he was first created. He left her behind when he nose-dived into the icy ocean while fighting the Red Skull. He moved on when he woke up in the modern era, while she aged along to her ripe golden years. 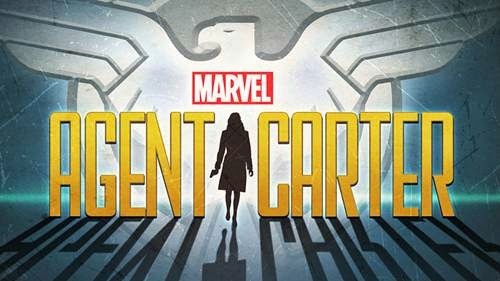 But then after the first Captain America movie, we later had a Marvel One-Shot titled Agent Carter, and the short film chronicled a night in her spy career where a there was one moment when all the guys had left the office and she alone took a phone call for a new assignment. Rather than find someone else to carry out the mission, she took it on herself. In spectacular fashion. In 1946 she's balancing her day job of administrative duties, doing secret missions for Howard Stark and dealing with her own single life, we'll get to see her life as it was. The One-Shot was fun as she proves to be a capable agent and again, if done right, should be fun.